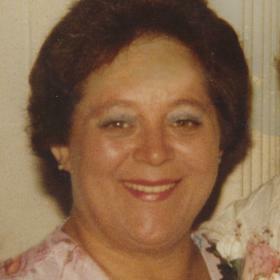 Mrs. Mary Sue Duke Rowe Hoisington, age 78, passed away Monday, February 4, 2019. She was born in Tennessee on October 4, 1940 to Earnest & Patsy (Franks) Duke and had been employed as a Special Needs Caregiver for MOKA for over 10 years. Mary enjoyed music, dancing, knitting and crocheting. Sons, John (Nancy) Rowe, Thomas (Charlene) Hoisington; daughter, Maria (Allen Smith) Wells; 9 grandchildren; 13 great grandchildren; sisters, Wanda Pulsipher & Judy (Drew) Bartinell; many nieces & nephews. She was preceded in death by her parents; son, Billy Rowe & brother, Norman Duke. Saturday, February 9, 2019, 2:00 - 4:00 PM at Clock Funeral Home - Muskegon. MEMORIAL: Great Lakes Hospice.